If it's time to replace your entire garage door, or if you need to have a part of the system repaired, we're the team to call. Here are some examples of what our experts did to complete a few of our latest projects. 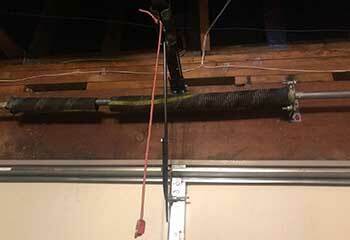 Customer Issue: Mr. Roark heard a noise while parking his car late one night, and found one of his garage door springs broken. Both it and its twin needed replacement ASAP. Our Solution: After closing the door and unplugging the opener, our technicians slowly eased the tension out of both springs until the caps were safe to remove. The broken spring and its twin came off, and then our team cleaned the housing and replaced them. Customer Issue: A DIY roller replacement attempt resulted in the door getting off track on one side and its owner unable to move it. Our Solution: The opener was already unplugged, fortunately, so our team repaired and reinforced the damaged track and replaced the damaged roller in question before lifting the door and easing it back into the tracks from the top using a pair of ladders. 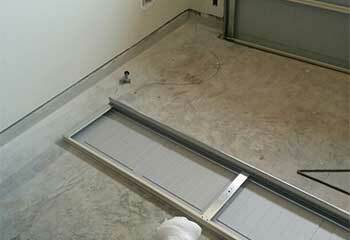 A few tests later, the door was safe for use. Customer Issue: Ms. Reuban feared her opener needed to be replaced, as the door wouldn’t start and the lights wouldn’t come on. Our Solution: After disconnecting the opener from the door, checking the wiring, and unplugging it, our team looked inside the housing unit and found the circuit board burned out. 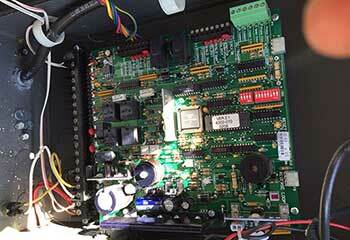 They replaced the circuit board, with a new LiftMaster logic board that matched the opener model, and the problem was solved. 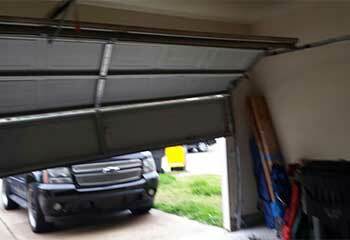 Customer Issue: An uptake in local crime made the customer want to replace her vinyl garage door panels with something stronger. Our Solution: Once our team knew the dimensions of the door and hinges and the opener’s weight limits, they helped Mrs. Carver choose some insulated steel panels from Windsor. Replacing the old ones with them was just an afternoon’s work.